Mr Justice Aguda, who headed a panel to consider the case for a new capital, reported in 1975 that “It is our belief that one way of forging the idea of unity of this nation is by building a capital city which will belong to every Nigerian.” A Federal Capital Development Authority was set up and a territory identified in 1976 in the geographical centre of the country. In the following year, the Authority commissioned International Planning Associates, a consortium of three American firms, to select the precise site for the capital within the territory, to propose a regional plan, and to outline a master plan for the city, with a manual of design and development standards. They recommended a site in the north of the designated area where the open savannah was dominated by the steep-sided granite face of the Aso hills. Their master plan conceived a monumental avenue, running roughly SW-NE and pointing directly at the highest point of the hills, with a parliament building and national monument close to the hills and with the major state and civic buildings fronting the main avenue. The Japanese architect, Kenzo Tange, was appointed to mastermind the major public buildings, and senior staff of the Milton Keynes Development Corporation became town planning advisers to the development authority. A great deal of infrastructure and construction work took place in the early 1980s but was practically halted by a military coup in late-1983 and proceeded only slowly for the next three years. It was always expected that the Ministry of External Affairs, and therefore the embassies and high commissions, would move from Lagos fairly late in the process of establishing the new capital. An embassy area was designated near the ministries and the diplomatic missions in Lagos were invited in 1983 to apply for allocations of land. The FCO, planning for a high commission in Abuja of 35 UK staff, bid for a single compound of 20 acres but was told that head of mission residences should be separate from the offices and that staff accommodation would have to be found from private developers in the planned residential zones of the city. After much debate in the late-1980s about whether European Community nations should and could have co-located sites, the Nigerians decided against co-location. They also refused permission for missions to establish liaison offices in Abuja even though they announced in 1989 that missions should be established in Abuja by the end of 1992. 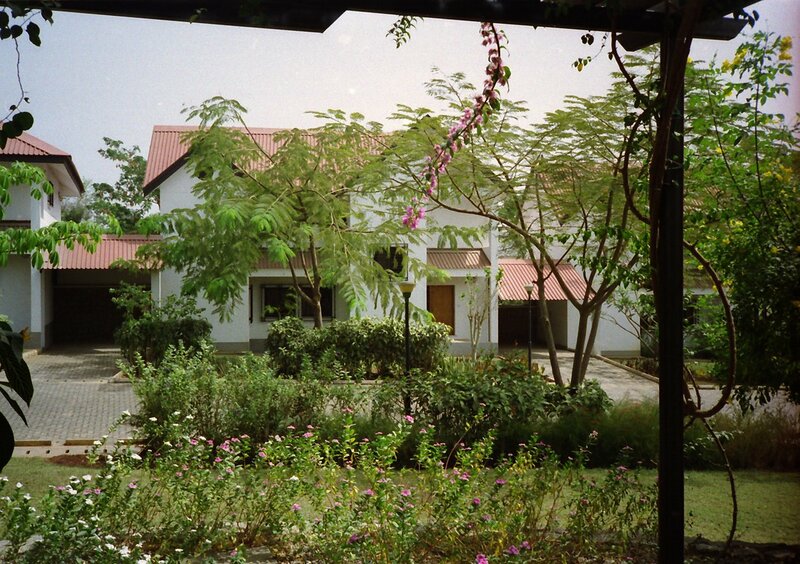 By 1990, the FCO had accepted the two sites allocated of 1.06 and 1.8 hectares respectively for residence (Plot 1034) and offices (Plot 315/316) and, since foreign governments were not permitted to hold freehold land, signed the two 99-year leases from the Federal Capital Development Authority on 25 July 1990. The Ministry of External Affairs then surprised everybody by bringing forward its own move to Abuja in autumn 1990. The Nigerians accepted the idea of European Community partners co-locating, provided that they could do so by swapping plots between themselves. The French abandoned their prime offices site beside the British site and planned instead to join European Community member states in a proposed group further out. The British government decided to forgo the opportunity of co-locating with European partners because it thought that doing so would, on balance, detract from its commercial effectiveness in the circumstances of Nigeria. The Nigerians also lifted their embargo on liaison offices. 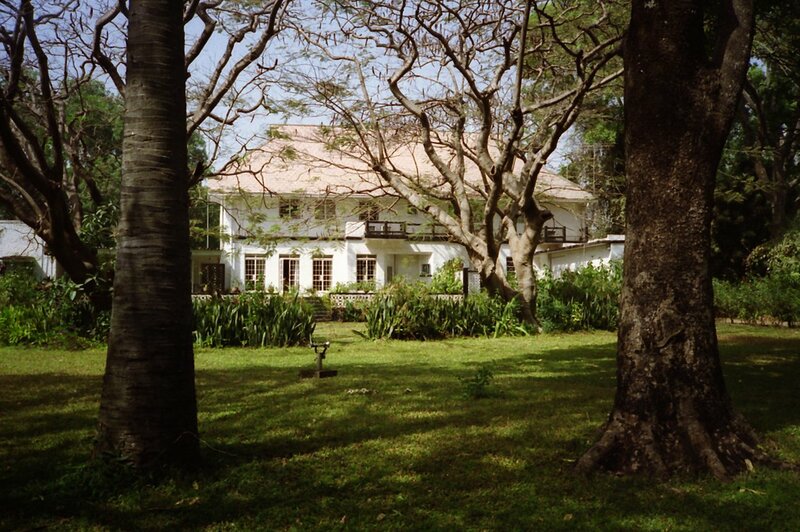 The British High Commission in Lagos responded initially by introducing a weekly duty officer run to Abuja and, in January 1991, leased a suite in the Hilton Hotel as a temporary liaison office, manned by a locally-engaged British wife, to serve as a pied-à-terre for official visitors from Kaduna and Lagos. Meanwhile, Post and FCO professional staff in London were searching for suitable premises for offices and residence that would suffice until permanent development took place on the two allocated sites. Negotiations opened with Alhaji Isa Mohammed for the lease of two large houses that he was building speculatively and shrewdly in Maitama District on a 1.25 hectare site (Plot 364) that would suffice as interim chancery offices and residence, and medical centre in the outbuildings. A five year lease was signed in March 1991, and the buildings, after the completion of ingoing works and furnishing, were occupied in September 1992. All the FCO’s Abuja leases contained more specific break clauses than the usual diplomatic ones so as to protect against the development of Abuja not succeeding and the leased accommodation becoming unnecessary. In 1995, with the development of the original allocated plots looking far off, a new 25-year lease was signed on Plot 364 at £100,000 per annum, payable five years in advance. 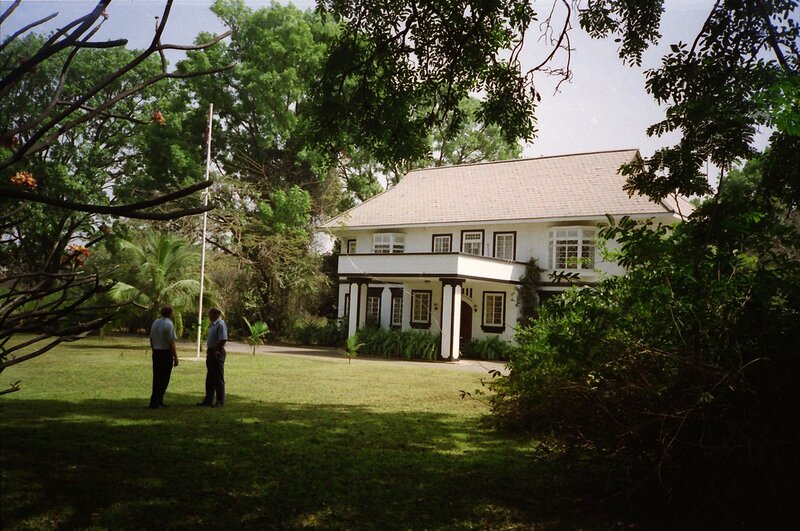 For unclassified offices for consular, visa, commercial, aid and management sections of the high commission, a simple office building, called Dangote House on Plot 2790, was built to FCO specifications by the owner of the site and leased to the FCO initially for six years from its completion in November 1993. 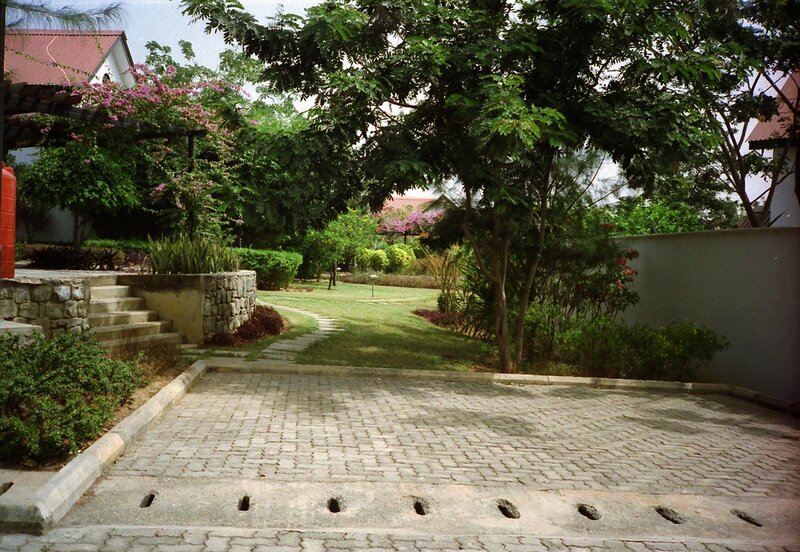 Five houses for senior staff, at Lawani Crescent (Plot 703), were built to FCO specification and leased initially for seven years on their completion in March 1995. Finally, a ground lease was taken for 22 years from March 1991 on an unusually large 2.9 hectare site (Plot 779) on which 22 houses, an amenity and sports centre, and servants’ quarters could be built. A quick internal competition among in-house FCO architects for the layout of this “village” was won by Francess Easmon and construction of the accommodation was funded and managed by Girola, a major Italian contractor, through Stabilini, a Kaduna-based Nigerian-registered developer. The FCO bought the long leasehold interest in the houses from Girola for £4.5 million in May 1994. The first FCO property to be ready in Abuja, Plot 364, gave the high commission a reliable, secure, efficient and timely start for its move to Abuja. On the other accommodation, the FCO made much better progress than it expected in the difficult circumstances of Abuja, where the residential areas had been deliberately subdivided into small plots to fend off large scale speculative profits. Concurrently, hovering political uncertainties and slow infrastructure development combined progressively to postpone the date by which missions were required to have moved from Lagos until 1997. The FCO therefore had an early surplus of accommodation that became something of an embarrassment, especially as not all of it could be sublet until it was required by the high commissioner and more staff moving up from Lagos. This occurred in 1997, and Lagos became a deputy high commission. 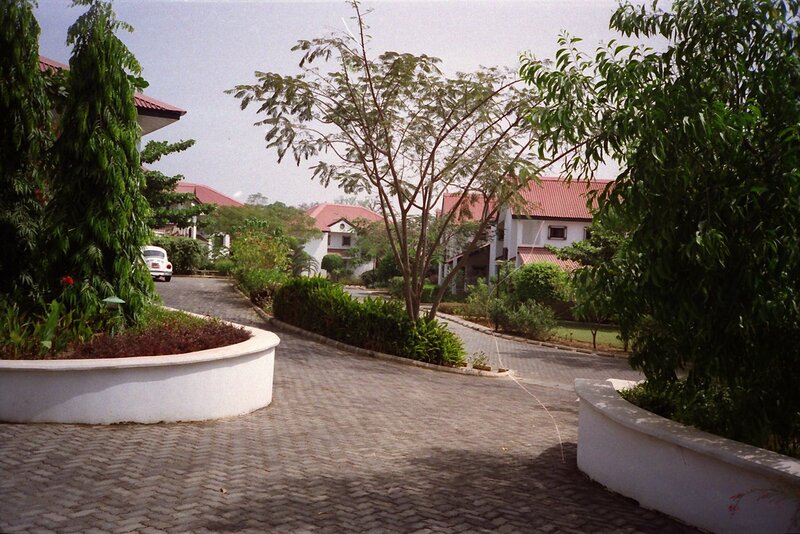 Internal road in the staff accommodation village, 1997. Terrace houses in the village, 1997. Gardens and landscaping in the village, 1997. 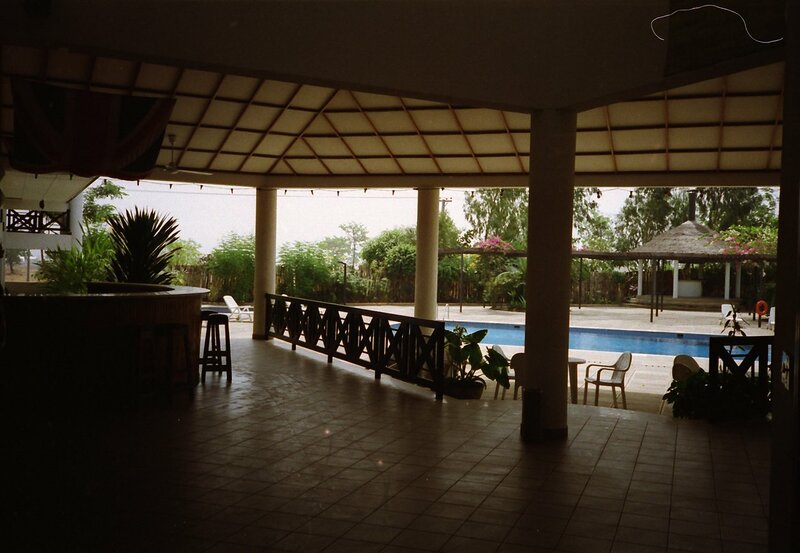 The amenity club and swimming pool in the village, 1997.